Extra! Extra! Read all about this epic selfie! Broadway In Boston and the Massachusetts Educational Theater Guild hosted the 3rd Annual Massachusetts Educational Theater (MET) Musical Awards on June 15 at the Cutler Majestic Theatre, and a couple of newsworthy guests stopped by the event. Newsies tour stars Jacob Kemp, a Needham, MA native, and Michael Ryan, a Braintree, MA native, flew in from Washington, D.C. as surprise guests at the awards and took an amazing selfie with the audience. The MET Musical Awards recognize student excellence across several performance, design and production categories, so the audience was, obviously, in high spirits and thrilled to have a couple of Bay State natives carry the Newsies banner all the way to the ceremony. 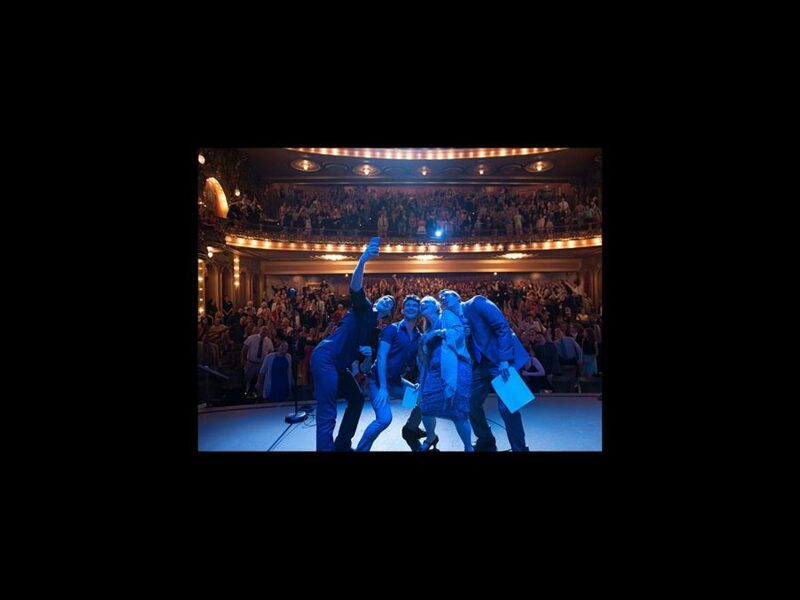 Photographer George Lucozzi snapped a photo of Kemp and Ryan, joined on stage by emcees Margaret Ann Brady and Chris Brindley, taking their awesome selfie and we're ecstatic he did. Take another peek and then be sure to get your tickets to see Newsies, playing at the Boston Opera House through July 5.